And prior to those events was one grand piece of insanity that occurred in June of 1991: a sleepless marathon run from Marin County, California to northern Indiana: 2337 miles in 38.5 hours. That journey was not a conscious attempt to set a record or to make a statement. I’m not sure why it worked out the way that it did. Attribute it to the energy of youth, or the hubris of youth. In any case, never again. It’s been many years since I’ve had interest in that type of travel. Any such trips in your past that you’d like to share? 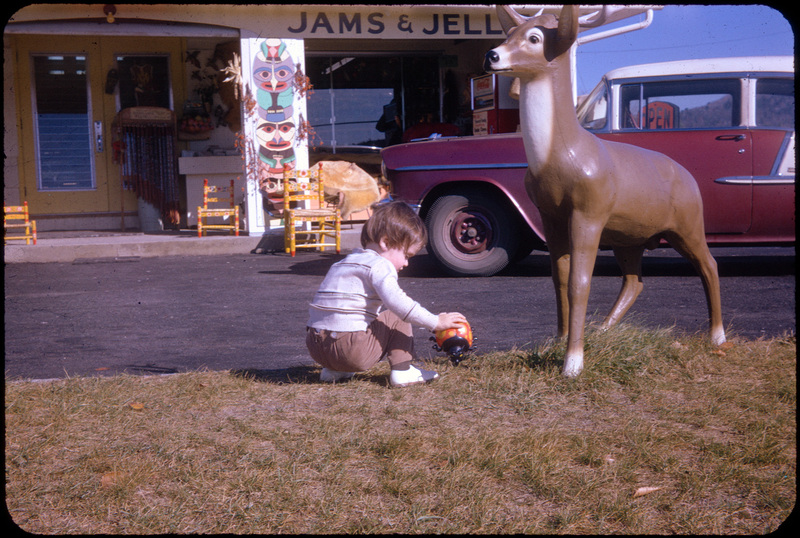 Probably the earliest known photo of Carl on a road trip, April 1965 (age 2). Per the notation on the slide, we’re somewhere along the Mohawk Trail. We lived in Northampton, Massachusetts at the time. This shot was captured by my grandfather. 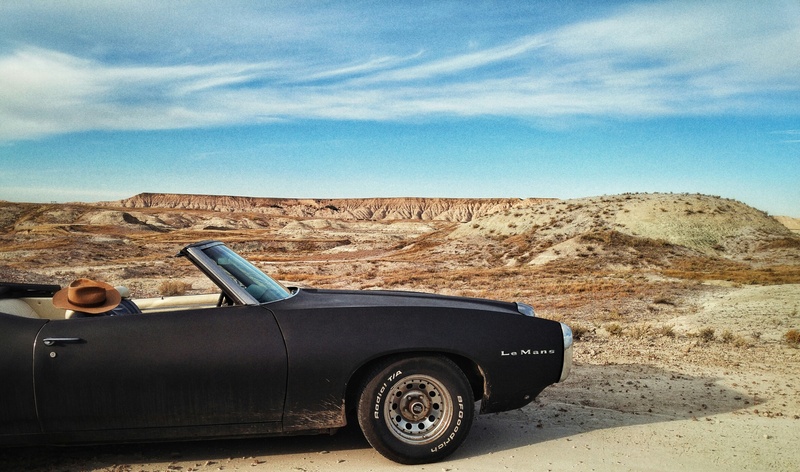 Perhaps we’re seeing the genesis of my interest in car travel, and my fondness for wildlife.